Commissioned to celebrate the School's Centennial, Ad Astra per Aspera 'To the Stars through Endeavour,' the motto of St Matthew's Collegiate informed the sculpture. 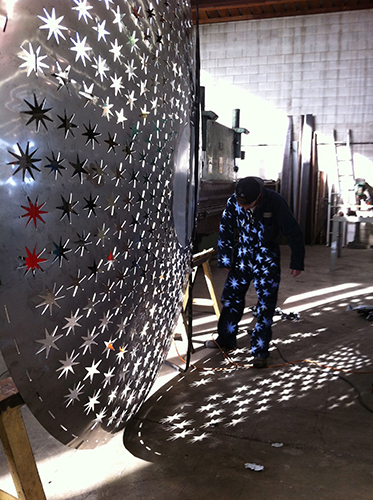 Conceived as an abstracted firmament; the disc of the night sky, the sculpture is created entirely of stars and alludes to the rotation of galaxies and seasons. Influences include the multifaceted and complex resource of star imagery portrayed in Byzantine and Romanesque mosaics, the star motifs on ancient Persian tiles and within Pacific cultures. Optical ambiguity is part of the intrigue of this interactive artwork with secondary patterns becoming apparent as viewers approach the sculpture. A pivot mechanism within the foundation allows the artwork to be rotated, presenting ever changing profiles, from full face to edge. Located in the centre of the lawn at the heart of the School's courtyard, the sculpture appears to balance on edge. The size and complexity of stars varies in reference to students' differing ambitions and achievements. 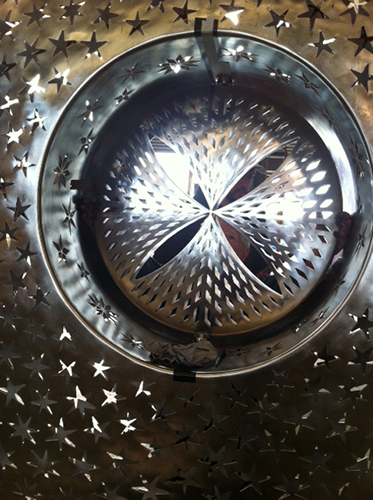 Inside the central aperture of the sculpture, a secondary component pivots, referencing the ancient St Andrew's cross, the 600 AD foundation stone at St Matthews in the City, Auckland. 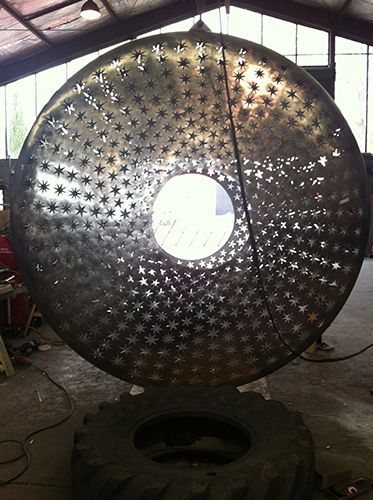 The sculpture is moveable either by hand or by the wind; in passing, students can rotate the major disc or the inner form. They can reach the stars. 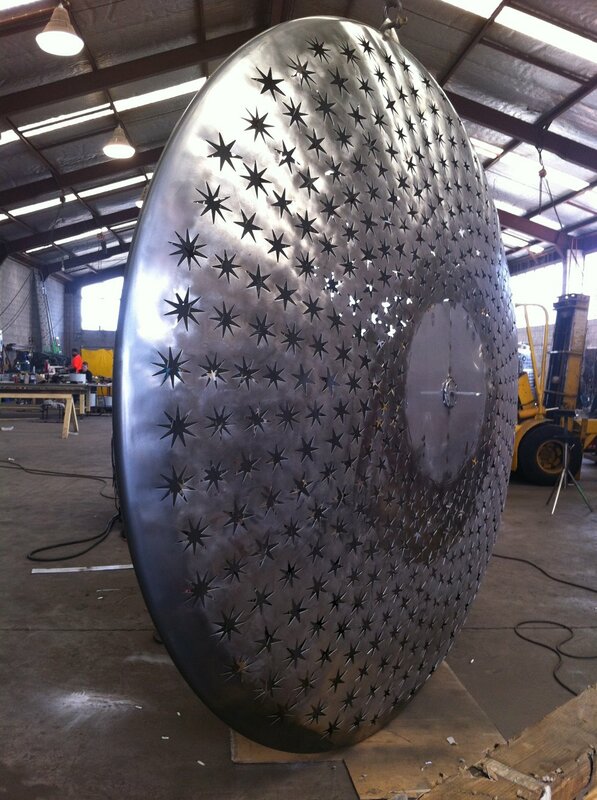 Dimensions: Main Disk; Diameter 2900 mm x Depth 700mm tapering. 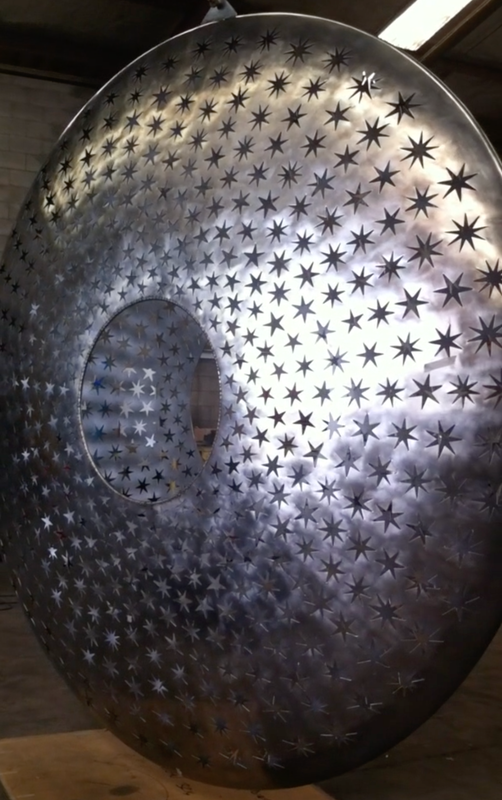 Small Disk; Diameter 690mm x Depth 90mm tapering.